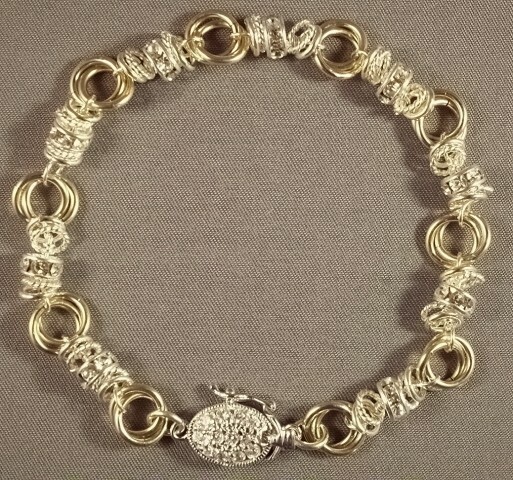 The Status Link with Bling Bracelet is a variation of my original design of a Status Link Bracelet. This version adds Swarovski crystal rondelles to the jump rings throughout the bracelet. The construction of the bracelet utilizes some beading techniques. This bracelet has great movement and sparkle along its length. It is very stunning on the wrist. This is a beginner weave. The clasp is not included in the kit.